Going on fun adventures together is a great way to unite your family! However, finding an activity that everyone will enjoy can be tricky, especially when you have children of different ages. Still, there’s one thing kids and adults of all ages can agree on: When it comes to things to do in Warminster, PA Expedition Escape is a thrilling choice! Try not to let the pursuit of success overshadow the true purpose of the game – Ultimately, escape rooms are meant to serve as an opportunity for families to bond and have a blast together. Thus, winning should be only a secondary goal, not the main objective. Keep this in mind as you make your way through the journey, and don’t be afraid to give your teammates a friendly reminder that having a good time as a family unit is what matters most! Encourage family members who aren’t particularly close to work together – By requiring players to collaborate with one another to arrive at the puzzle’s solution, escape rooms are designed to facilitate effective team building among groups of any kind – including families! To capitalize on this teamwork-boosting potential, try to get family members who could use some bonding time to join forces. For example, assign a pair of siblings who tend not to get along to work on part of the puzzle together, and chances are they will put aside their differences and unite in the interest of helping the whole family escape! 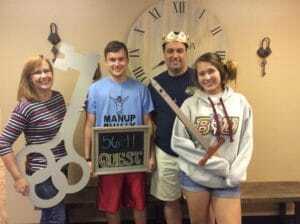 Extend the family bonding beyond your escape adventure – Our escape rooms are truly one of the most exhilarating and energizing things to do in Warminster, PA, but your family fun doesn’t have to be confined to this! Before or after your escape room escapade, we highly recommend doing something else as a family, such as meeting up at a local park or congregating in our private multipurpose room. Making a day of your family outing will further strengthen your bonds and spur the creation of even more lasting memories! Come Discover Our Escape Rooms with Your Family! If you’re looking for things to do in Warminster, PA that will appeal to your entire family, your search is officially over now that you’ve found Expedition Escape! Ready to experience the adrenaline-pumping excitement of an escape room? Gather up your family members, decide which room you’d like to try first and make your reservation at our top-rated escape room venue using our online booking portal! We look forward to showing your whole family what makes our escape rooms the best things to do in Warminster, PA!